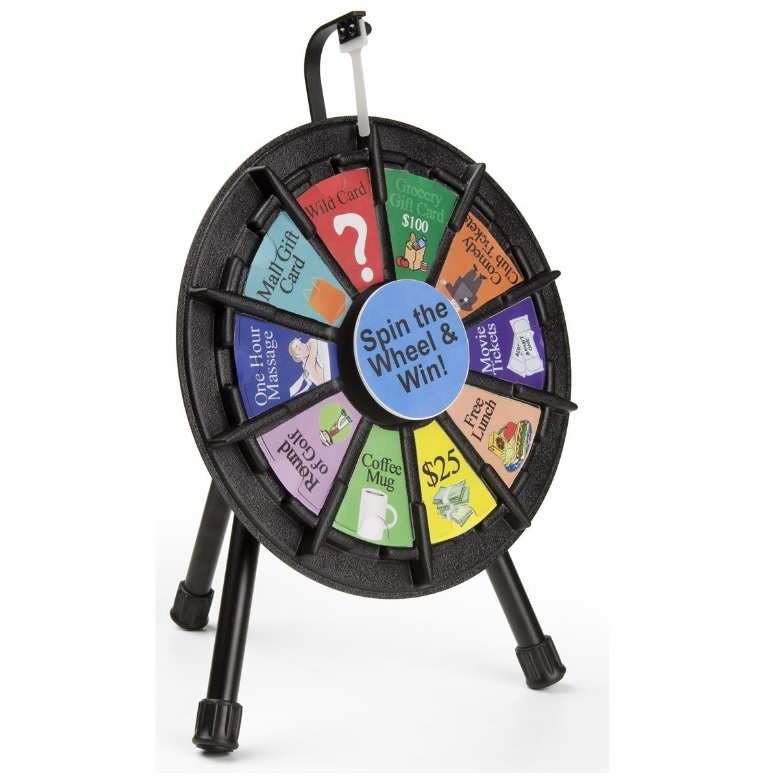 This mini prize wheel entertains guests. Ideal for trade shows, promotions, fundraisers and stag and does. This wheel features a 10 slot design and is only 14″ in diameter yet has a big effect on attracting people.